If your diary looks anything like mine in the run up to Christmas you probably don't really have much spare time between now and the big day. Festive parties, visiting friends and trips back home mean that Simon and I are now pretty much booked up for the rest of the year! This weekend was, in fact, our last free weekend in Newcastle so to celebrate we decided to spend Saturday pottering about in the city that we love. Every great weekend should start with breakfast so we sleepily dragged ourselves out of bed to get an early bus so we could get through the door of Café Royale before the crowds descended. The early Saturday alarm paid off when we arrived to a half empty café and our pick of the seats. 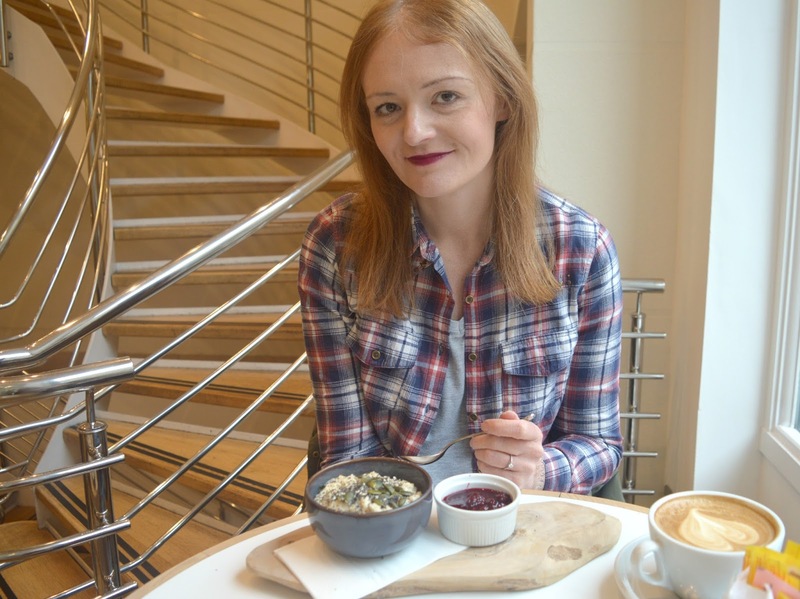 Café Royal has one of the finest breakfast menus in Newcastle, it is stuffed full of all of my favourite morning dishes which makes the decision making process pretty tough. So tough in fact that I, rather embarrassingly, decided to order two things off the menu. First up Toasted Banana Bread with French Butter which I just about managed to wolf down before my second course of Creamy Porridge with Wild Berry Compote and Toasted Seeds turned up. I like to think that destroying evidence of the Banana Bread (I didn't even take a photo!) means that it never happened and we can all pretend I just had porridge. 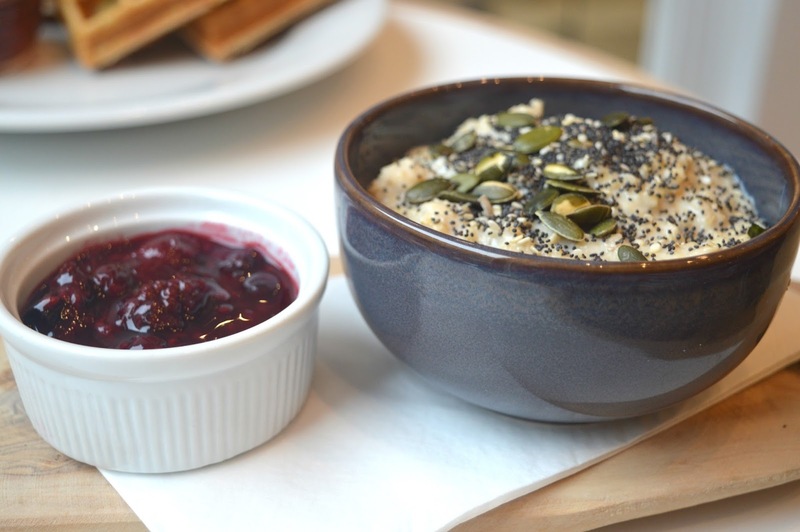 I love porridge but have never ordered it out before as my belly tends to always opt for whatever sounds the stodgiest, but as the day was pretty wet and cold I decided porridge would be good fuel. It was delicious! 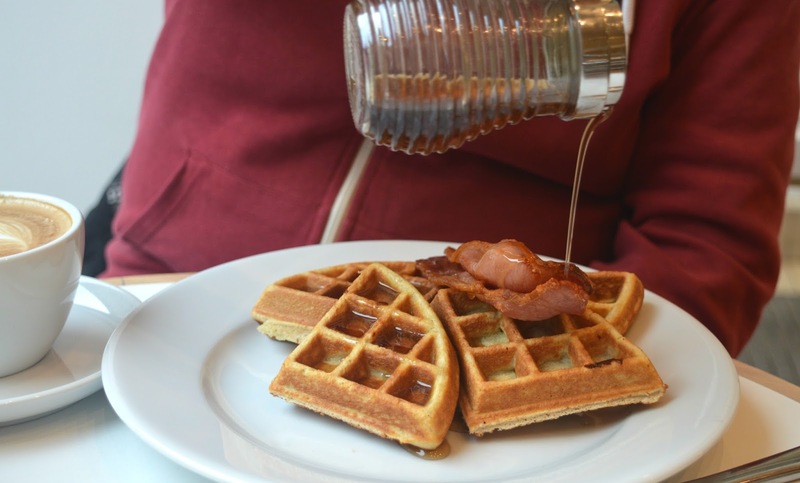 Simon decided on his breakfast with great ease and ordered his favourite, Waffles served with Bacon and Maple Syrup. He was particularly impressed with the Maple Syrup pourer and is now trying to convince me to get one for the house. Breakfasts demolished we decided the day was best spent indoors in the warm so strolled our way over to the Discovery Museum. Despite having lived in Newcastle for a few years now I hadn't managed to make it to any of the museums. I decided the Discovery should be my first as soon as I saw that they had a special Christmas exhibition, "Fenwick Unwrapped", celebrating over 40 years of Fenwick's famous Christmas window display. Fenwick opened its very first store in Newcastle in 1882, making it the oldest of all its nine stores across England and very special to all of us up here in the North East. Waiting for the grand unveiling of the Christmas window display is as important to Geordies as Christmas puddings and Turkey lunches. The Christmas window display at Fenwick really came into its own in the 1960s when a friendly rivalry with fellow Northumberland Street store, Callers saw Fenwick making their window displays bigger and better each year to beat Callers. Since 1984 production of the window display has been taken over by a German animation company, the windows are fully assembled in a workshop in Berlin before being transported to Newcastle where it can take up to a week to reassemble the display in Fenwick's window. 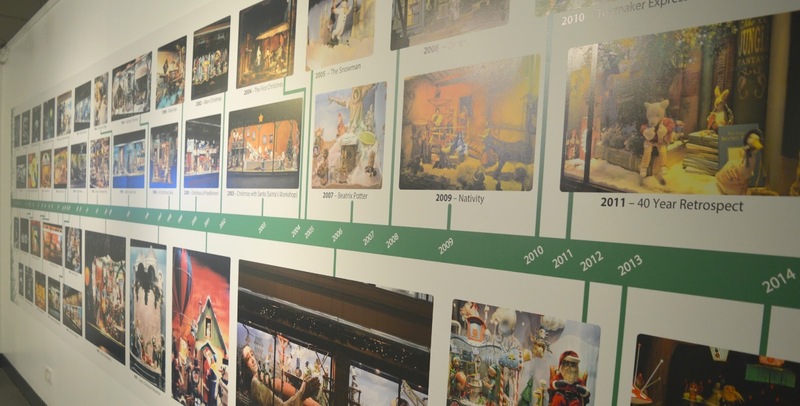 The displays over the years have covered all kinds of themes from Winter wonderlands and Santas workshops to celebrating children's stories. 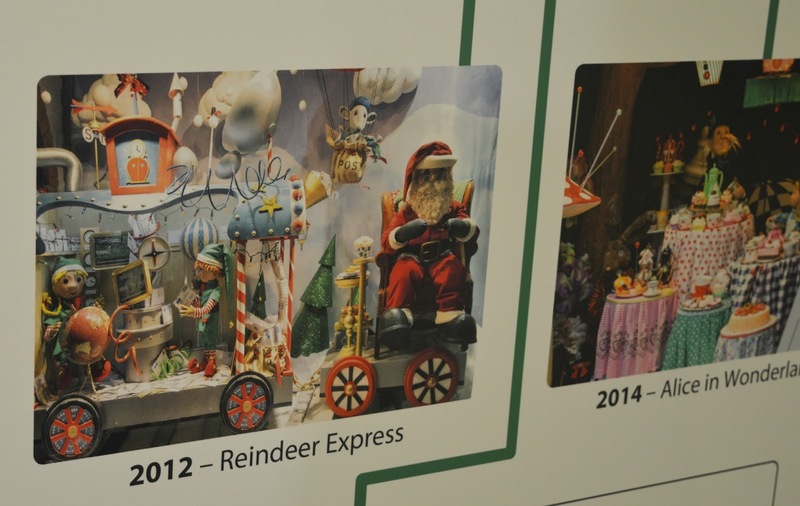 You can see the whole timeline of the Fenwick window at Fenwick Unwrapped including photos of every window display. 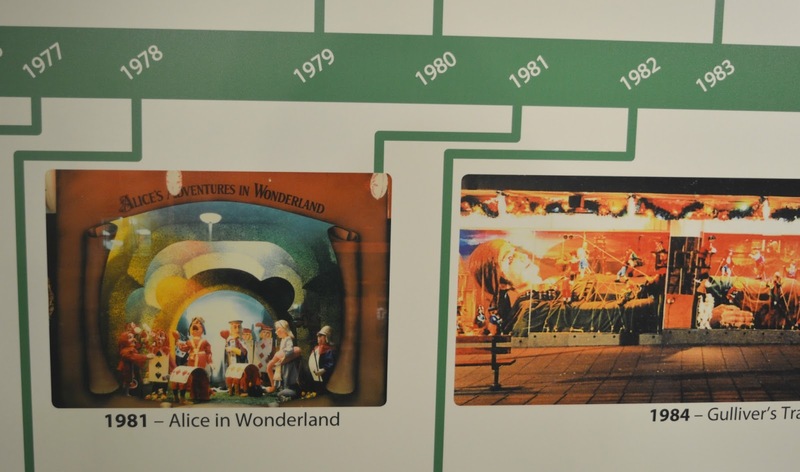 I was eager to see the display for 1981, the year I was born and loved that it was Alice in Wonderland, which was also the theme for last year's window. The 2012 display is a special one for me as it's the very first Fenwick Christmas Window display that I saw. I remember Simon practically running me down Northumberland Street to show it to me as he knew how much I loved Christmas. The happy music and colourful lights captured my heart immediately, I'd never seen a window display quite like it! As well as an interesting insight into the creation of the Fenwick's Christmas windows the museum also has a great collection of toys through the ages to look at which Simon and I thoroughly enjoyed. Nothing beats a great trip down memory lane and we had a great time being transported back to our youth and chatting about which of the toys we owned. We had the most fantastic time at the Museum and loved learning more about something so special in our city. The exhibition continues until 10 January and is completely free so make sure you head there for a look! 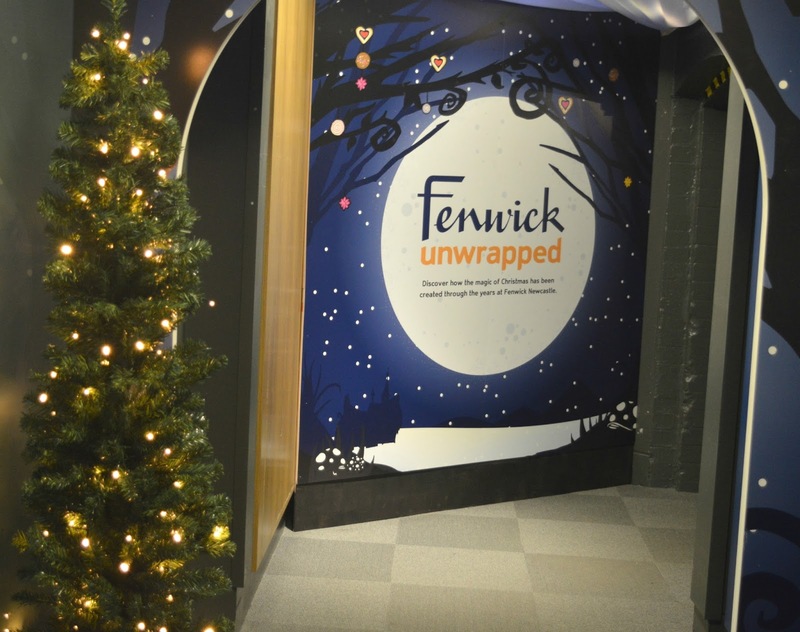 Let me know if you're planning a visit to Fenwick Unwrapped. Ahhh typical it's on during a year I won't be in Newcastle! Hopefully I can make it down in the beginning of January as it looks really interesting! I love the Discovery Museum anyways. Glad you had a good time! How Do You Get Lucky?